Former Georgian President Mikhail Saakashvili may soon be put on the international wanted list, the country’s justice minister said. Accused of abuse of power, Saakashvili, who now lives in the US, was arrested in absentia on August 2. On August 2, the Tbilisi City Court ordered the pre-trial detention of Saakashvili, former Justice Minister Zurab Adeishvili and former Defense Minister Davit Kezerashvili. All three were arrested in absentia after ignoring the Prosecutor General's Office summonses. “In recent months Saakashvili repeatedly refused to appear for an interrogation as a witness on a number of criminal cases, and then he refused to be questioned remotely via Skype,” the court said over the weekend. “In such cases, under Georgia’s legislation, the Prosecutor General's Office has a right to seek a preventive punishment for persons who evade participation in the interrogation, which was done." The Prosecutor General’s Office launched a criminal case against Saakashvili after he failed to appear before investigators for questioning July 28. "I will obviously not take part in this farce," Saakashvili, who became president in 2004 after the virtually bloodless "Rose Revolution," wrote on his Facebook page. Charges against Saakashvili, officially brought July 29, include dispersal of a peaceful rally on November 7, 2007, an illegal raid on local Imedi TV on the same day and seizing the property of businessman Badri Patarkatsishvili. Defense lawyers for the former politician have already submitted an appeal to the Tbilisi Appeals Court demanding a reversal of the decision. "There was no evidence for the charging of the ex-president,” Saakashvili’s lawyer Otar Kahidze said earlier. “A criminal case was started to be fabricated later. Of course, we intend to appeal this unfair decision of the court in all instances after we get a documented decision of the Tbilisi City Court." In March, the Prosecutor General's Office of Georgia summoned Saakashvili to come for questioning “as a witness” in “a number of criminal cases.” The former Georgian leader, however, ignored the summons. Saakashvili was Georgian president for nearly a decade, from January 2004 to November 2013. His successor, Georgy Margvelashvili, the head of the Georgian Dream coalition and a political protégé of Saakashvili’s principal foe, billionaire Bidzina Ivanishvili, won the presidency in elections. Saakashvili now lectures at Boston's Tufts University. 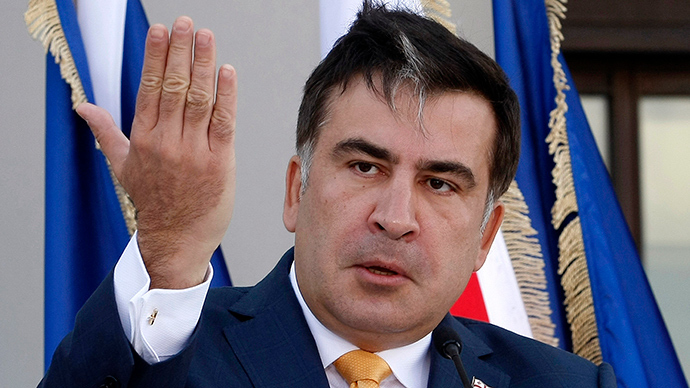 On Sunday, Saakashvili told Tbilisi-based Rustavi-2 television that he will not seek asylum in any country because there is no need for him to do that. “I have recently been to Albania. On July 30, I was in Budapest at the invitation of my friend, Hungarian Prime Minister Viktor Orban. 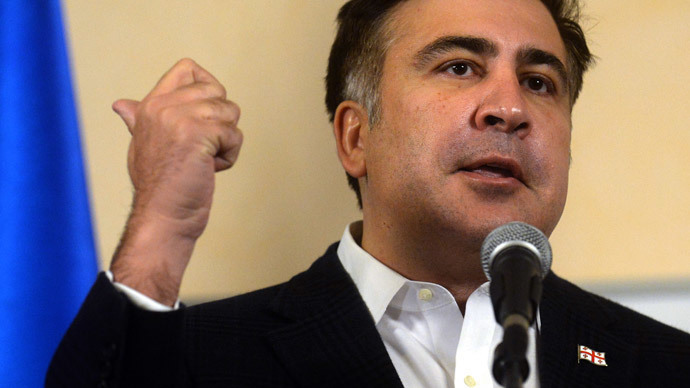 I am planning to visit some other countries soon,” Saakashvili said. He added that Georgia and Russia were the only two countries which he could not visit for the moment.